One of the hottest consumer trends is the new importance on outdoor living, and nothing brings the outdoor home to life like a greenhouse and other accessories to help grow and nurture landscape greenery. 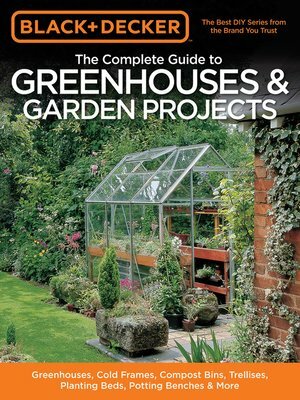 This book has plans and step by step for constructing and appointing greenhouses of several varieties, from glass-wall to hoophouse; some from kits, some from scratch; also includes plans and steps for other garden structures and accessories. Includes projects suitable to homes and landscapes of all types—urban, suburban, and rural. This entry was posted in eBook Friday and tagged adult non-fiction, crafts, eBooks, home design. Bookmark the permalink.